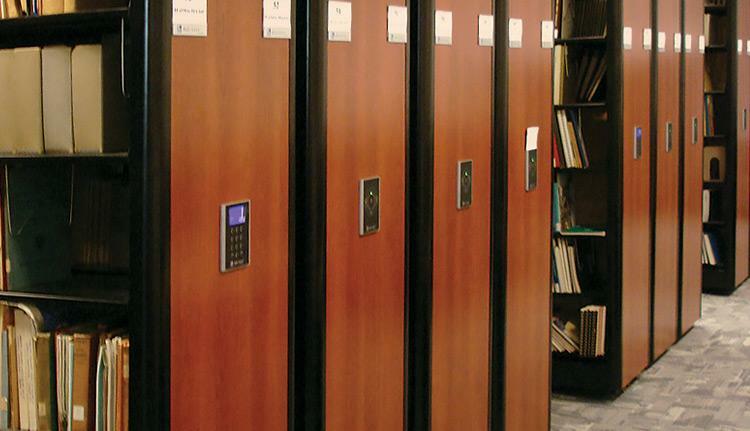 Our high density shelving units are the best solution for managing a growing collection. Superior track design and an unrivaled tech support team make high density shelving an almost essential component of any serious storage project. High density shelving systems from FSS can effectively double record storage capacity in your existing area or reduce floor space requirements by 50%!